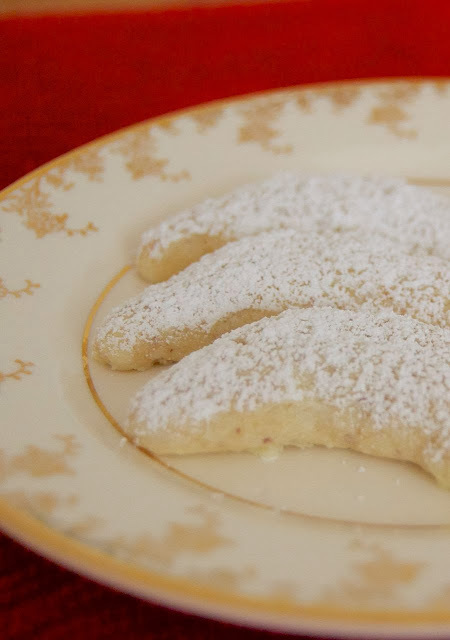 Viennese Crescents – a light, rich, buttery cookie traditionally made with almonds and shaped into crescents. 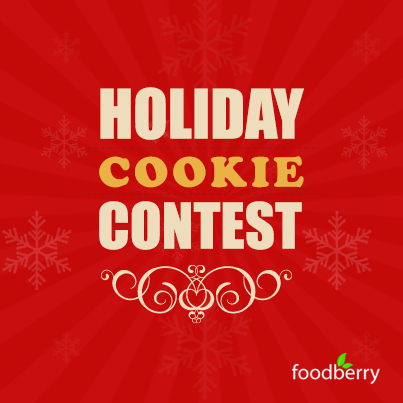 I’ve been compensated for the mention of the Foodberry Cookie Contest in this post. LOVE making cookies at Christmastime. 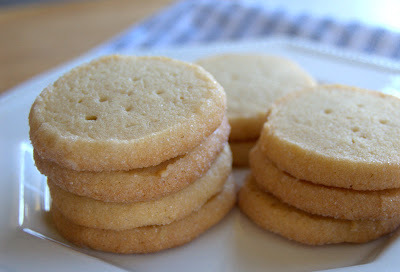 Ok, I love making cookies all year long, who am I kidding? 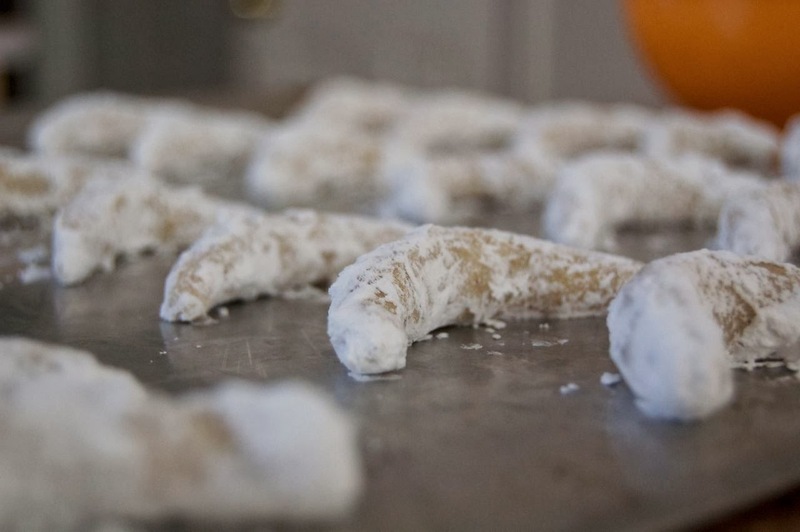 Typically at our house, we don’t have a huge cookie making party that I know some people do, but I’m thinking that maybe next year it’s something I’d like to do with the kids. Since moving to New Hampshire, we’ve lived in a few houses and haven’t had the chance to make meet many neighbors and befriend them and now we’re living in a spot where we have very few neighbors. And I don’t know, nowadays do people even bring cookies to your door when you move in or when they move in? It seems to me like it’s a thing of the past that’s long been forgotten, but should still be around, like 8-track tapes, Stretch Armstrong, cube acrylic photo boxes with the foam in the middle, the Hoppity Horse and Hee Haw! Ok, maybe not some of those, but at least a couple. If I’ve stumped the younger generation with my 70’s reminiscing, just Google the stuff, it’s sure to come up. But the greeting people with cookies, we need to stage a movement to bring that back. SAVE THIS VIENESSE CRESCENT RECIPE TO YOUR FAVORITE PINTEREST BOARD! Yeah, I know people are now paranoid about things being put into their food, not knowing where it’s coming from or who’s making it and all those food allergies people have now that I never heard about while growing up. I’m not saying that you or your loved ones don’t have them. It’s just why didn’t we ever hear about peanut allergies or people allergic to eggs when I was a kid? I know times have changed and people are more paranoid careful and it’s not as free and easy-going as it was back then…in the old days. So then, it’s all the more reason to start this cookie movement. Old days? Did I really just say that? I know it’s that time of year when we are already bringing cookies to friends, neighbors and loved ones, but how about making an extra plate for that grumpy woman down the street who lives alone and never says hello. You might just be the breath of fresh air she’s been needing to turn that corner. 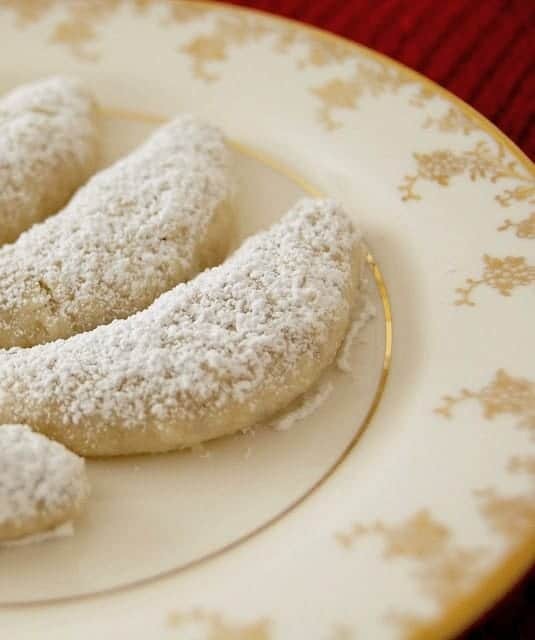 Add these Viennese Fingers to her plate. They’re even in the shape of a smile! 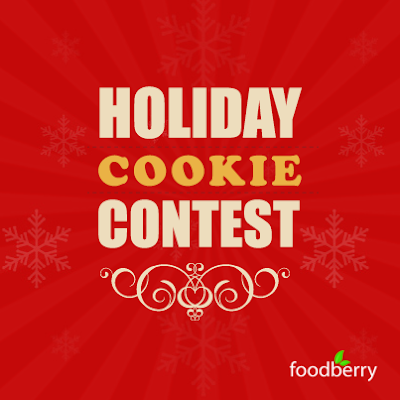 Foodberry is kicking off the holiday season with a #cookie #contest! 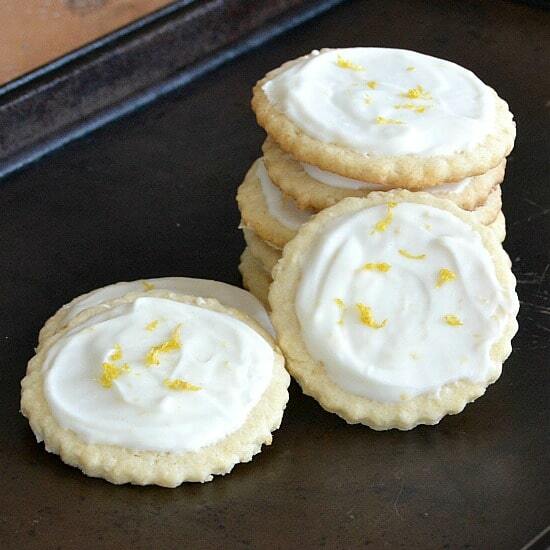 Share your best holiday cookie recipe, including a photo for your chance to WIN one of THREE $100 Etsy Gift Cards! I think you should enter because it would just be SO AWESOME if one of my readers won!! I’m pulling for you!! I used this recipe from my Fannie Farmer Cookbook, Thirteenth Edition, p. 625; author, Marion Cunningham; publisher, Alfred A. Knopf, Inc., division of Random House; ISBN 0-394-56788-9. 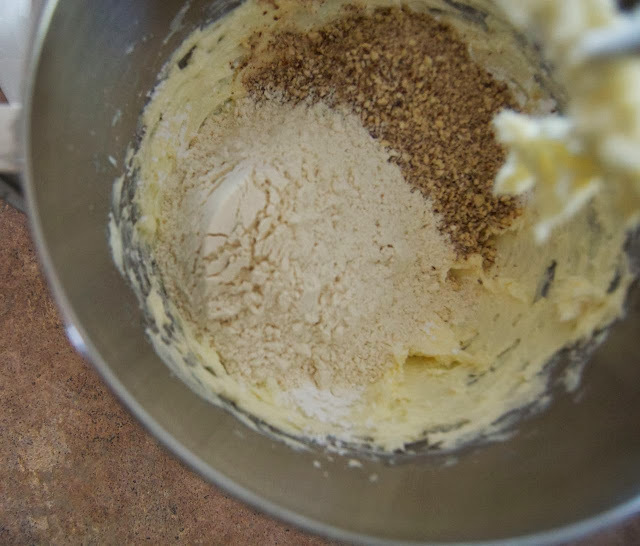 Preheat oven to 300 degrees F. Cream butter until it is light and fluffy. Add the confectioners’ sugar, flour, nuts, and vanilla. Mix thoroughly. With your fingers, shape into crescents about 2 inches long, 1/4 inch wide and thick. 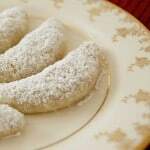 Roll each cookie in confectioners’ sugar. 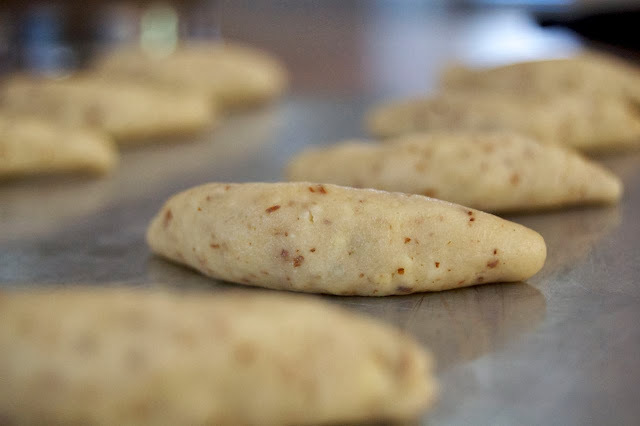 Place on an ungreased cookie sheet for 12-15 minutes, until just slightly golden. Place on a wire rack to cool and roll in more confectioners’ sugar before serving. I rate everything I make on a scale of 1-4 with 4 being the best and these Viennese Crescents earned 3 1/2 rolling pins. I love their delicate flavor and really can’t see eating them any other time of year. 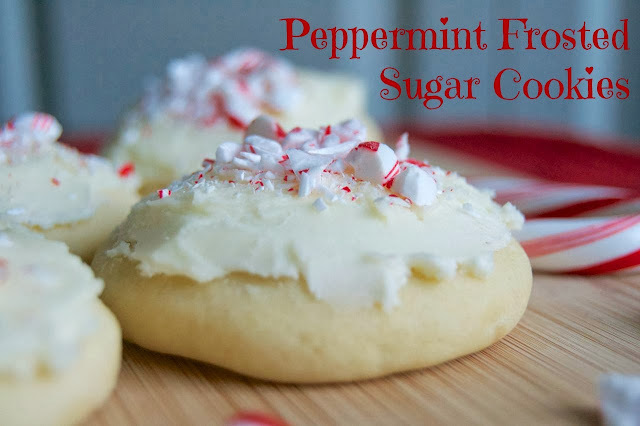 To me, and this is only my opinion, they are a holiday cookie. 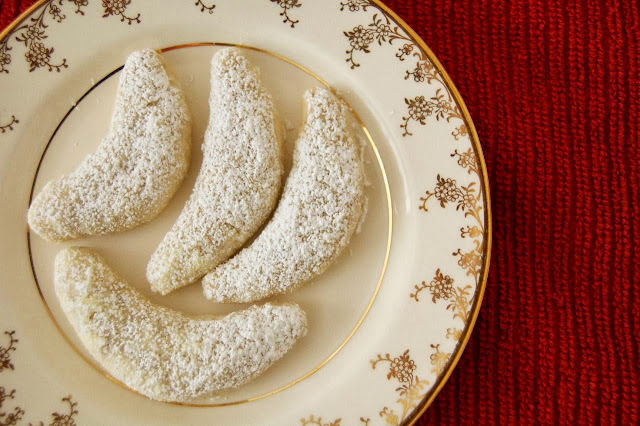 In need of more cookies for the winter season? Here are some popular ones from the 365 blog! I don’t think I’ve ever seen them besides at Christmas. Oh well, they’re like that one yearly special treat. I like those. Remember to enter that cookie contest! I want to see you win! Can I have a recipe of tres leches and how to make a caramel frosting.. thanks! MORE POWER AND GOD BLESS!!! here is a conversion chart you can use. Shannon, the recipe makes about 50 small cookies. AP or self rising flour? Debra, I use always use all-purpose in my recipes unless specified otherwise. These sound incredible and I can’t wait to try them!